No one said it was going to be easy to start the process of making our streets as safe and inviting for cycling as they are in the Netherlands. It should be, but no one, in their heart of hearts, probably thought it would be. With driving, rather than walking or cycling, being the habitual first choice for many people (even for short journeys), and with all the issues closely related to this (including the frequent prioritisation of public space for private parking often at the detriment of the public realm even when there are other options), it was clear that bringing about the necessary infrastructural changes to enable stress-free cycling was going to be a challenge. Nevertheless, that process has started in some forward thinking boroughs across London including our neighbours in Kingston. But at the moment in Sutton, it’s business a usual. So the question is, when will Sutton catch up? Unfortunately, a proposal by Sutton Council in the summer of 2014 to convert pavement sections along Green Wrythe Lane, Carshalton, [Open Street Map | Google Maps | Street Map] to shared use for cycling, subsequently approved by councillors in October, is a clear indication that it is going be a while yet before the majority of residents in this outer London borough go anywhere near a bicycle for anything other than a ride in the park. That’s not just very unfortunate for the future of Sutton, it is also counter to the borough’s admirable aspiration, included in the Draft Sustainable Transport Strategy (published for consultation on 6 November 2014), to become London’s most environmentally sustainable suburb. Our response to the consultation on the Green Wrythe Lane footway cycleway proposal, which includes an overview of the scheme, is set out below (and can be downloaded here as a pdf). But first, let’s set the scene. Boris Johnson, Mayor of London, and Board Chairman at Transport for London (TfL), has a vision for cycling. A vision in which cycling will become a normal part of everyday life for everyone, especially those who, at the moment, would not dream of cycling on the streets of London (typically, women and older people) or who cannot cycle on the streets of London (including those who find mobility difficult). In support of this vision, the mayor announced that he would provide a London cycling budget of around £913 million over ten years (2013-2022), with £145 million of this (equivalent to £18 per head) being spent in 2015 alone. This figure, although still below the current expenditure in the Netherlands, where there has been consistent investment for decades (and which continues at around £24 per person per annum), is a step up from the UK national figure of around £1 per head in 2005. Clearly though, we need more than the Netherlands because we are over 40 years behind. Nevertheless, it’s anticipated that, over the next ten years, spending in outer London (to fund “mini-Hollands” and “Quietways’) will dramatically increase. Furthermore, the mayor has a strategy for delivering a real step change in provision for cycling, at the heart of which is the belief that helping cycling will not just help cyclists, but will create better places for everyone. What the mayor does not have, however, is control of the vast majority of London’s roads. As a result, the improvements he seeks will depend on the cooperation of others, including the boroughs. Inevitably, therefore, the time it takes to deliver the vision across all parts of London will, in large part, depend on the aspirations of individual councils. Put simply, authorities with determination and political leadership will benefit first. When will Sutton be part of this vision for cycling? So, how long is it going to take to bring the mayor’s vision for cycling to Sutton? When will cycling become a normal part of everyday life for more women, for the young, for the elderly in Cheam? When will Carshalton’s residents feel able to have the real choice, the pleasure, and the option of stress-free and joyful cycling? When will people living in St Helier feel able to use cycling as a way of bringing a little exercise into their daily routine? Will it be in five years time, in ten years, twenty years, or longer? It may be thought that the best clues to help answer these questions would be found within the pages of Sutton’s Mini-Holland Bid (published July 2013), or Sutton’s draft Sustainable Transport Strategy (published for consultation on 6 November 2014). The former detailed proposals intended to raise cycling levels substantially in the borough, and the latter set out the council’s policies and proposals to improve Sutton’s transport and environment over the next decade. Reports are all very well when it comes to stated aims though, but unless these are followed up by those able to make a difference (including, of course, elected councillors), the reality, and the outcomes, can be so different. Therefore, better indicators of intention, and of how long it is likely to be before the vision for cycling is delivered in Sutton, can be found by taking a look at what is actually happening on the ground now, the schemes and ideas that are being suggested today, and the decisions that are being made today. The proposal to create a “cycleway” by widening a “footway” on Green Wrythe Lane in Carshalton, with the expectation that this would “encourage” more people to cycle, serves this purpose very well. 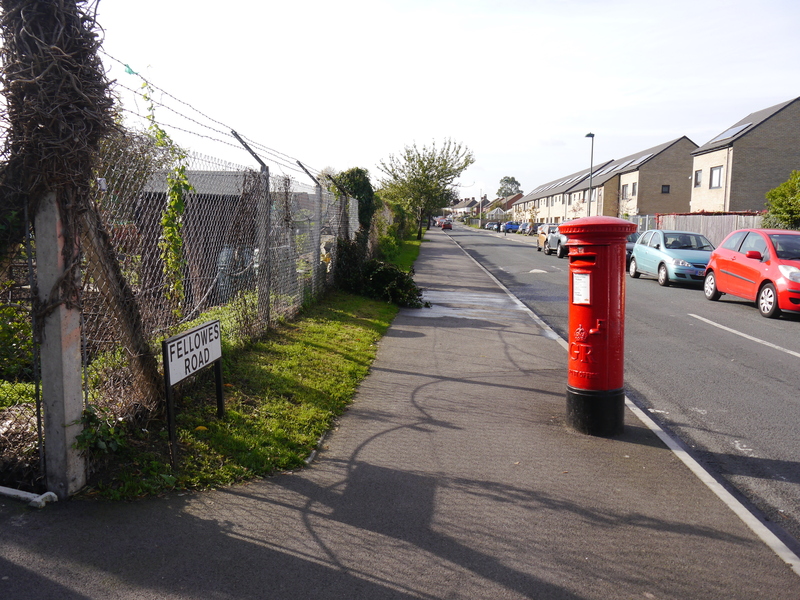 “The proposal is to widen the footway on the western side of Green Wrythe Lane between Muschamp Road and Middleton Circle to allow shared use by pedestrians and cyclists on the footway. This will extend the cycling facility already in operation between Muschamp Road and St. Andrews Road. This facility is to encourage more people to cycle. It is expected that new or young cyclists will use this facility and faster commuter cyclists will continue to cycle on Green Wrythe Lane. To accommodate the wider footway it will be necessary to reduce the width of some of the grass verges, move footway parking bays over so they are partly on the carriageway and move a bus shelter. Further information about this proposal was available in the Public Reports Pack prepared for the St Helier, The Wrythe and Wandle Valley Local Committee meeting held on 3 July 2014. Two references to Green Wrythe Lane are of particular interest. Firstly, on page 26 (forming part of Appendix A, Summary of Schemes for Funding in 2015/2016, to Agenda Item 8), the Statement of Need for the scheme is given: “To create a longer section of route as part of the strategic borough-wide network”, along with an indicative funding requirement of £100,000 courtesy of Transport for London (see Figure 2). (This is part of the Local Implementation Plan process. The £100,000 indicative funding is in addition to what has already been spent so far on this “route”, and there is more on this later). And then on page 43 (part of Appendix C, Project Mandate Summaries, again Agenda Item 8), the business needs, outcomes and outputs are detailed. The expectation is that the scheme will increase cycling numbers by 1% (see Figure 3). The best way to visualise what this is all about is to take a look at some photos showing sections of the existing footway on the west side of Green Wrythe Lane that are to become the footway cycleway. All the photos that follow were taken at around midday on a weekday in October 2014. Photo 1 shows Green Wrythe Lane (at the intersection with Muschamp Road) and the starting point that is to become the footway cycleway. Post implementation, the only difference here will presumably be the installation of some tactile paving, and the erection of two bollards, one on Green Wrythe Lane indicating the shared-use facility, and the other on Muschamp Road advising that cycling is prohibited on the pavement. Continuing past the bus shelter, to a point about 50 meters beyond Muschamp Road, and the footway approaches Groveside Close (photo 2). The plan shown in Figure 1 does not indicate whether this part of the footway is to be widened. Anyone cycling here will, of course, be required to give way at Groveside Close. It is not known whether the developers of the new housing are contributing to the scheme. Photo 3 shows the path about 80 metres north of Groveside Close (and after having crossed the side-road Green Wrythe Crescent). There is clearly greater potential for widening the existing footway here (but note the space occupied by the parked vehicles). Continuing north, and having crossed a third side-road (the other end of Green Wrythe Crescent) to a point about fifty metres further on (see photo 4). The distance between the boundaries of opposite properties would appear to be about 15 metres (from the satellite image), so enough space for wide segregated cycle paths on both sides of the carriageway if alternate options for parking were found. 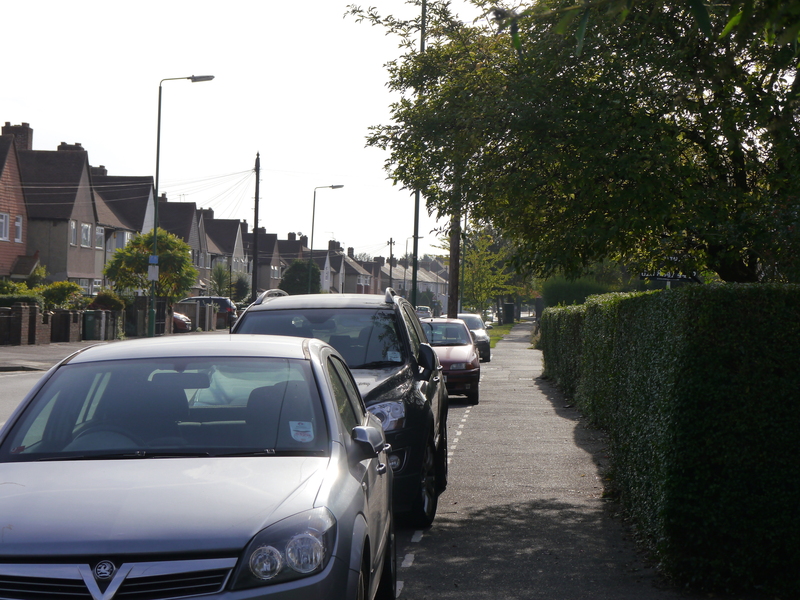 Photo 5, taken from a point about 30 or so metres further north (between Green Wrythe Crescent and Buckhurst Avenue), gives an indication of the space provided here for pavement parking relative to the space provided for everything else. 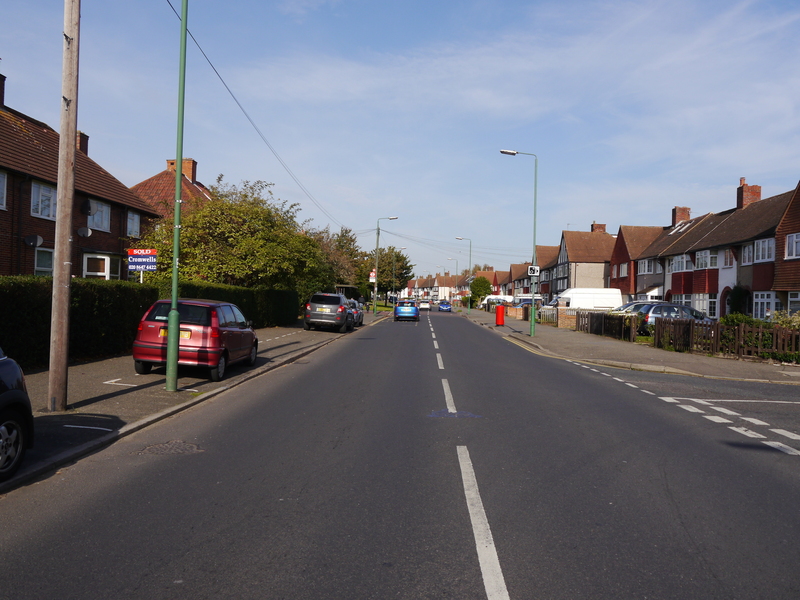 It is proposed to move the parking bays shown on the left partly into the road…. … and it can be understood why this is being requested, by taking a look at the view as seen back on the pavement, sorry, cycleway (photo 6). And it goes on… Photo 7 just shows yet another one of the nine or so side-roads, that the new or young cyclists who have been encouraged to cycle by the creation of the facility, will be expected to navigate across as they progress their way along Green Wrythe Lane. Get Sutton Cycling’s perspective to all of this, as can be seen in our response to the council in August, is that if this is the best cycling infrastructure that our council can produce in 2014, if this footway conversion is what our councillors believe “cyclists” want in 2014, then it’s going to be a very long time indeed before the mayor’s 2013 vision for cycling arrives in Sutton. Indeed, this proposal just carries on the thinking that was prevalent prior to the mayor’s vision. So before we look at our response to this 2014 proposal, let’s take a look at the first phase of the “cycling facility” mentioned in the consultation, i.e. the section of footway between St Andrew’s Road and Muschamp Road that became a cycleway in December 2012. Photo 8 show the location of the southern most point of the cycleway on Green Wrythe Lane that was implemented in 2012. It’s not actually at St Andrew’s Road, but a point approximately 30 metres to the north. Turn around at this point to look in the other direction (photo 9). Here you see the section of footway that has not yet been proposed as a cycleway, but which it is believed that councillors think would be satisfactory to convert to use for cycling and so provide the missing link to Wrythe Green. But, for the moment (and ever since December 2012) new and novice cyclists have either had to continue on the pavement and hope no one notices, or join/rejoin the carriageway here. And if you walk another 60 metres further south on this missing cycleway link towards Wrythe Green, (having crossed and given way, in the process, at St Andrews Road and St Johns Road) you can’t help but notice that not only does the pavement narrow quite a lot, but there are other demands on the space as well (photo 10). Bus stops and shelters are expected to be found on urban streets, but how comfortable will it be for people waiting here if cyclists were to ride past on their way to the shops? Is it any wonder that this section of footway on the grand cycleway route has been overlooked, even by councillors, so far? Can they seriously consider this pavement as a candidate for cycling? To complete our graphical tour of the Green Wrythe Lane cycleway, try and spot the difference between the following two footways shown in photos 11 and 12. These are both views of Fellowes Road (a street that was included in the first phase of the Green Wrythe Lane cycleway scheme) at its intersection with Green Wrythe Lane. Photo 11 is on the south-side of Fellowes Road, and photo 12 is on the north-side. The difference is simply that the footway on the south side (photo 11) is a cycleway (so cycling here was permitted from December 2012 to provide a link with Rushy Meadow Primary School), whereas the footway on the north side (photo 12) is just that, a footway and cycling is not permitted (but also leads to Rushy Meadow Primary School) . Our consultation response, sent to the council on 8 August 2014, sets out why the Green Wrythe Lane footway cycleway proposal is unlikely to encourage more people to cycle (and therefore represents very poor value in terms of cost), and suggests what is needed instead if cycling is ever to be seen, by the residents of Carshalton and St Helier, as a serious form of everyday transport. 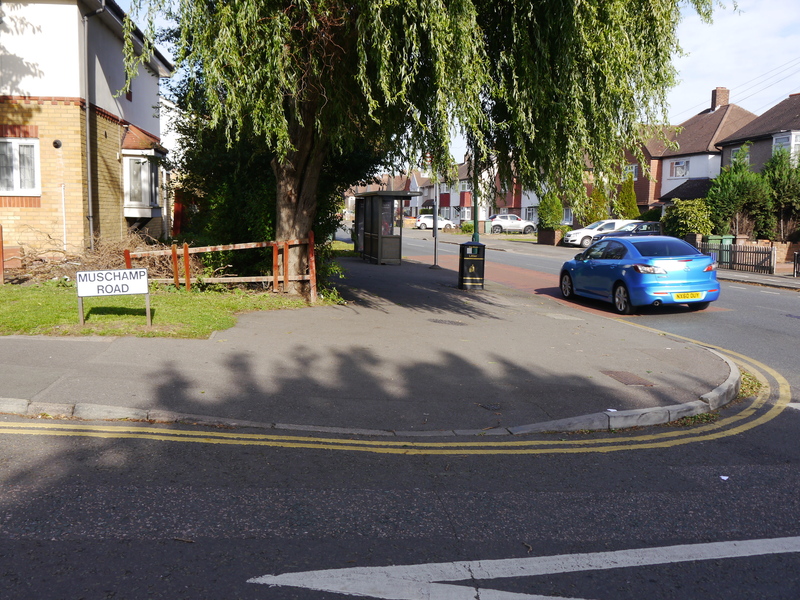 Get Sutton Cycling, representing the London Cycling Campaign in Sutton, welcomes the opportunity to comment on proposals to make improvements for pedestrians and cyclists in Green Wrythe Lane, Carshalton. 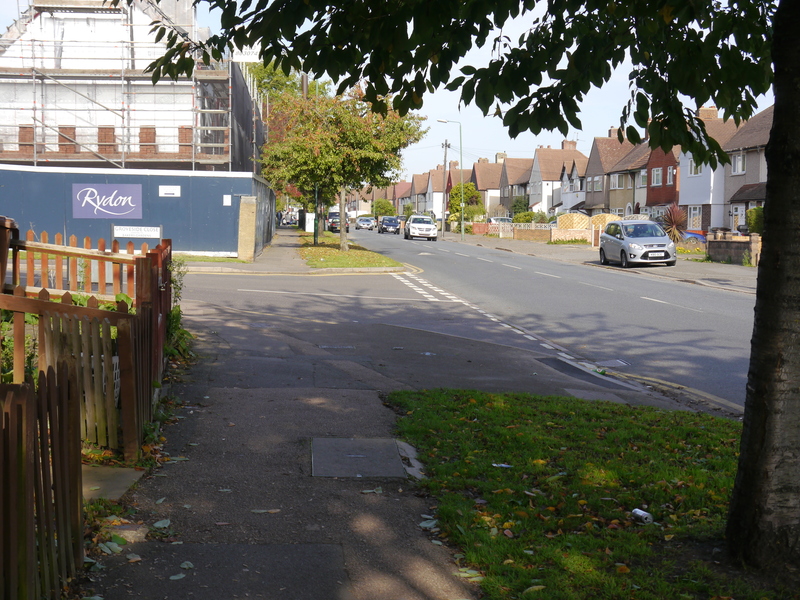 We understand that the proposal is to widen the footway on part of the west side of Green Wrythe Lane, between Muschamp Road and Assembly Walk by Middleton Circle, to allow shared use of this widened path by pedestrians and cyclists. In doing so, this will provide a continuation of the existing shared-use footway, between St Andrews Road and Muschamp Road, that was facilitated in early 2013. The objective of the facility is to encourage more people to cycle, especially new or young cyclists, although there is the expectation that faster commuter cyclists will continue to cycle on the carriageway of Green Wrythe Lane. 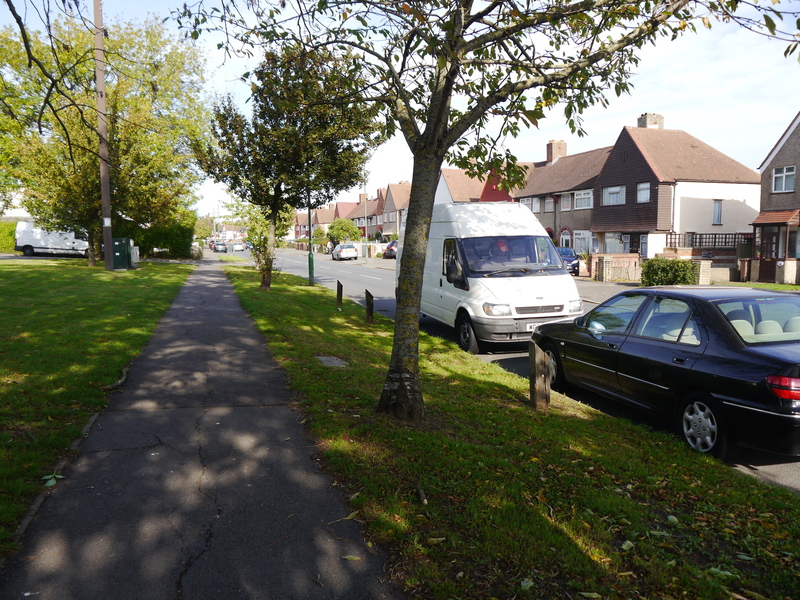 In the process of widening the footway, some grass verges will be reduced in width, a bus shelter will be relocated, and parking bays that are currently on the footway will be moved so that they will protrude partly onto the carriageway. Funding for the work is available from Transport for London over two years. 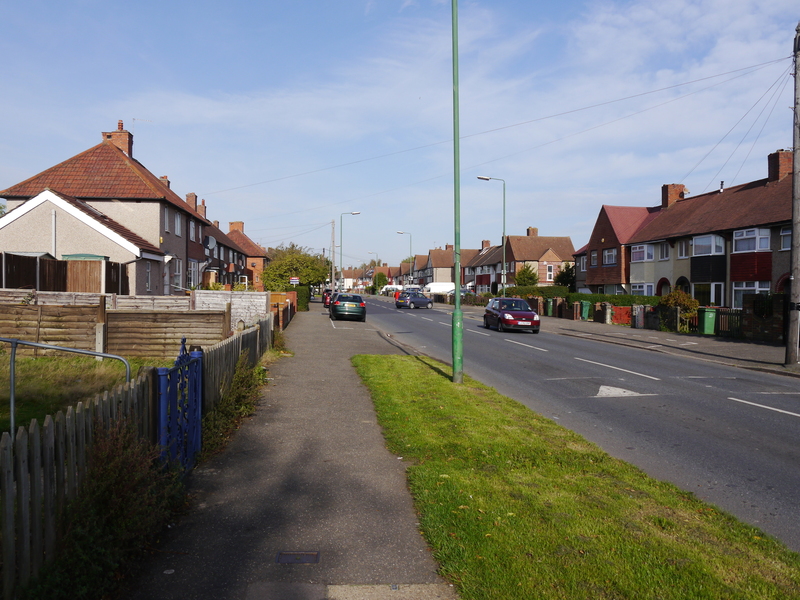 Subject to the consultation, five sections of footway between Muschamp Road and Welbeck Road (approximately 550 metres in length) would be widened this year (April 2014 – March 2015), with the final two sections between Welbeck Road and Assembly Walk (approximately 450 metres) widened next year (April 2015 – March 2016). The indicative funding required for 2015/2016 is £100,000 (as detailed in Appendix A of the Local Implementation Plan Funding 2015/2016 Transport Funding Bid report, Programme 2 Corridors, Neighbourhoods and Supporting Measures). It is presumed that a similar figure is required for 2014/2015, but a reference to this could not be found. Included in the report is the Statement of Need: “to create a longer section of route as part of a strategic borough wide network”.Plans for the proposal were on display at the St Helier, The Wrythe and Wandle Valley Local Committee meeting held on 3 July 2014. At the meeting, councillors agreed to proceed with a bid for the funding to progress with the scheme, subject to views and comments received. 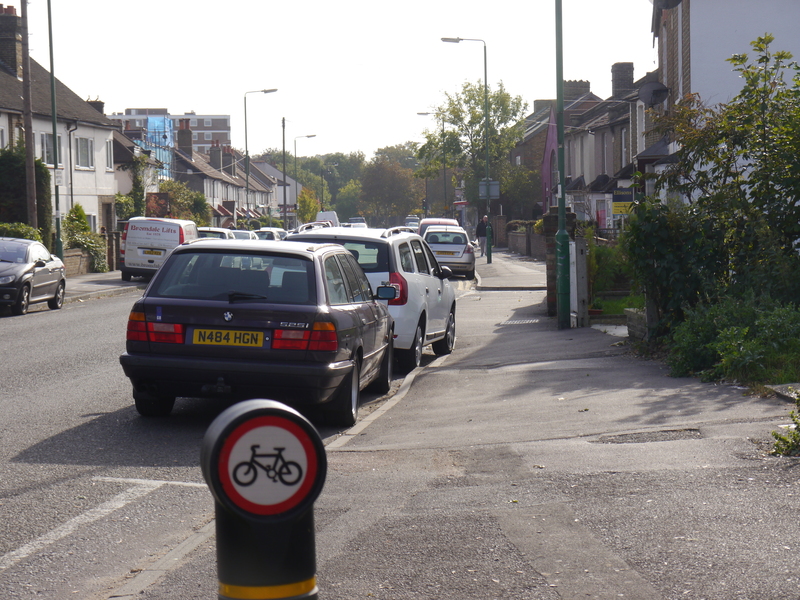 Get Sutton Cycling does not believe that the proposal to widen the footway on the west side of Green Wrythe Lane, and formally allow people on bicycles to share the path with people on foot, will result in any measurable increase in the number of people cycling. We are of the view that the proposal lacks aspiration, and that more radical ideas, such as those outlined in our Space for Cycling proposals for The Wrythe and St Helier wards, would not only begin to make cycling an everyday transport option for many more people, but would also be more aligned to the ideas set out in the Mayor’s Vision for Cycling in London (March 2013) and with the updated London Cycling Design Standards (June 2014) currently in draft form. There is concern that if Sutton Council continues to produce ideas that appear to ignore the publication of these documents, the borough will never receive any substantial level of funding for cycling. Having said that, however, this is good in some ways, because the last thing that we wish to see is Sutton to be provided with vast quantities of cash for cycling schemes only to spend all of it on simply converting every pavement in the borough to shared use for walking and cycling. It is very likely that the mayor’s cycling ambassador, Andrew Gilligan, shares that view too. One questioned whether Transport for London funds are supposed to be used to provide for two categories of cyclists. i.e. for the “new or young” on the proposed awkward new path, and for the “commuter” who will be expected to continue to use the main road. They went on to say: “The impression I have is that TfL money is supposed to be to promote cycling as a means of transport. Therefore this is not a proper use of their funds as it is only for new or young cyclists”. Two people expressed the opinion that this proposal is “tokenism of the worst kind”. One commentator suggested that “a cycle lane that is full of breaks, leads nowhere, misses out key sections of the route, and is shared with pedestrians, helps neither group and is an utter waste of time and money”. He went on to say that “such routes inevitably become unused, and subsequently poorly maintained” and noted that “a consequence of this is that when cyclists choose not to use this ill-conceived infrastructure they are then berated by uninformed motorists to use the ‘cycle’ lane”. Another contributor expressed the concern that “putting novice cyclists in conflict with pedestrians and people walking their dogs was not the answer”. “They [London Borough of Sutton] should not be allowed to do another inadequate scheme which they will then be able to publicise proudly as another pro-cycling scheme”. “Clearly the best solution is a complete street redesign, so we should hold to our principles and not support the proposals”. Taking all of this into account, we conclude that it would be preferable for this proposal not to be progressed. It is evident, from observation, that some people already cycle on the footway along Green Wrythe Lane (although in relatively low numbers). These are most likely to be children accompanied by adults who walk, or people who would rather not cycle on the carriageway (and, therefore, probably do not cycle very far or very often). Widening the pavement a little, and formalising the arrangement, will not change this. It would be nice to think that new cyclists would use the facility as somewhere to build their confidence, prior to launching themselves onto the carriageway (which, of course, they would have to do sooner or later to actually get anywhere). But, in reality, this presumption is thought to be highly unlikely. We would, however, welcome any plans the council have to test the hypothesis. The total length of shared use footway that will be available along the west side of Green Wrythe Lane, from St Andrews Road to Assembly Walk, if the scheme is completed, equates to a distance of about 1.2km. Over this distance, cyclists will be required to give-way at nine intersections along the route. Furthermore, anyone wishing to use the facility when travelling southbound would be required to cross Green Wrythe Lane twice, once to join the shared use path and then a second time to rejoin the carriageway. To have to give way on average every 120 metres, only then to have to switch back to the carriageway further on, will be enough to deter anyone who wants to regularly cycle here for most trip purposes. The first three guiding principles detailed in the new London Cycling Design Standards are: (1) Cycling is now mass transport, and must be treated as such; (2) Facilities must be designed for larger numbers of users; (3) Bicycles must be treated as vehicles, not pedestrians. We would suggest that the Green Wrythe Lane proposal fails on all three of these principles. The council’s own Project Mandate Summary for the “Green Wrythe Lane Off Road Cycleway (final phase)” (provided in Appendix C of the Local Implementation Plan Funding 2015/2016 Transport Funding Bid report) makes interesting reading. Firstly, it states that the proposal is “to implement a widened footway…to provide an off road facility the whole length of the road”. This is false, because the final phase excludes any mention of a facility along Green Wrythe Lane south of St Andrews Road. Secondly, it proclaims that the project is expected to deliver an increase in cycling numbers of 1%. Not quite sure how that figure was derived, but does it matter? 1% of almost nothing, is almost nothing. We rest our case. Earlier this year we set out our Space for Cycling ideas across all eighteen wards in the borough. 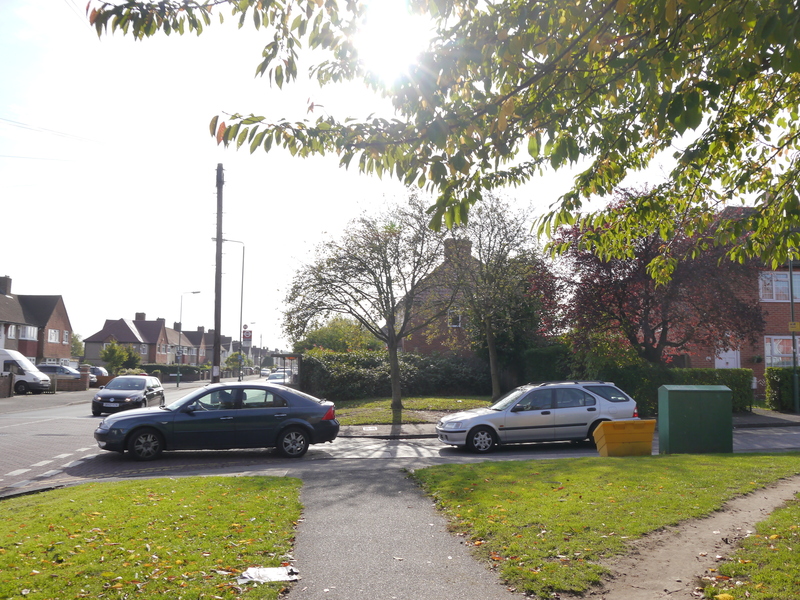 For The Wrythe, this included a request to explore the possibility of providing protected space for cycling on Green Wrythe Lane, between Middleton Road and North Street, and also on Middleton Road between St Helier Avenue and London Road. These routes were chosen for two reasons. Firstly they had been highlighted by cyclists as areas for improvement and, secondly, the provision of dedicated space for cycling here would help create a cycling culture across the ward and deliver fully inclusive cycle links with the nearby St Helier Hospital and with the David Wear Leisure Centre and Arena. Additionally, these ideas resonate with the techniques outlined in the new London Cycling Design Standards in terms of developing a coherent cycle network. There is no denying that, with a carriageway width of just 7m, Green Wrythe Lane is a challenge. According to Manual for Streets 2 (paras 8.6.1 to 8.6.8) the recommended minimum lane width for vehicles to overtake cyclists in comfort is 3.8m at 20mph and 4.3m at 30mph. If these standards are adhered to, it would follow that 20mph really needs to be the current maximum speed limit on Green Wrythe Lane as things stand. It’s true that, in terms of the available carriageway width alone, the provision of two dedicated cycle tracks on Green Wrythe Lane would be a complete non-starter. However, if the complete width of the public area between opposite property boundaries, which provides up to 20m of space, is considered (see attached Google Maps satellite image) things start to look very different. 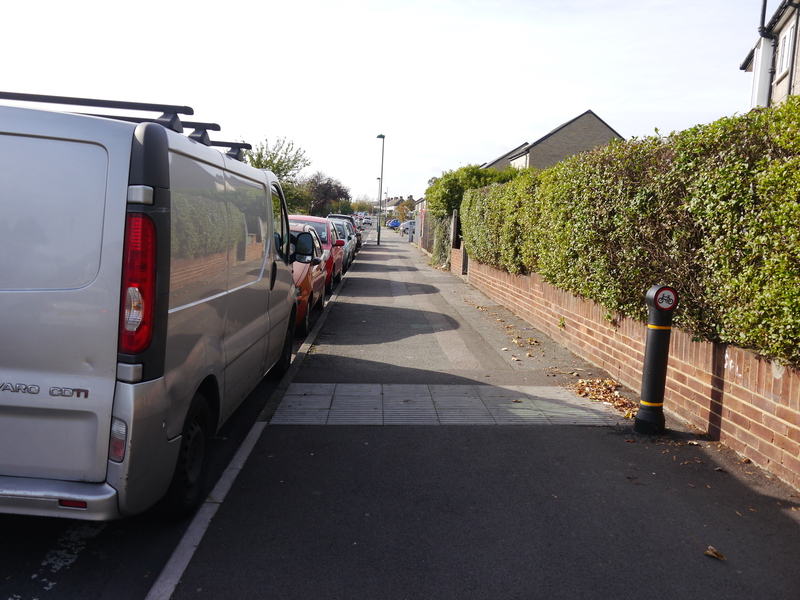 Working within the 20m space between property boundaries, there would be ample room for a 2m wide footway, plus a 2m wide cycle path on both sides of a 7m wide carriageway and still leave 5m to spare. Clearly, as some of this public space is currently used for the parking of private vehicles, it would be necessary not only to undertake a general reappraisal of how the overall use of space could be managed, but there would also a requirement to manage alternative scenarios for parking. In addition, there would be implications on drainage, and existing street lighting columns would probably need to be replaced. Although expensive, this could also be an opportunity to provide an improvement to the street in terms of place and function. Despite all of the difficulties, the fact remains that, technically, there would appear to be sufficient space for fully segregated cycle tracks on Green Wrythe Lane. These could be delivered adjacent to the carriageway, but at a separate level, to give priority at intersections with minor side roads. Providing protected space for cycling on Green Wrythe Lane is an ambitious idea, and would be a major departure from anything that has been delivered locally before. But it is not the technical issues that make finding space for cycling difficult here, but rather the political and social issues around making the case for it. For these reasons, it is of great importance that the council is quite transparent and unambiguous with its objectives for the delivery of cycle-friendly schemes that will make a difference. Furthermore, it is essential that these objectives, which will relate to transport, but are linked to mobility, sustainability, health and the public realm, are clearly stated. Without this commitment at the outset, progress with any worthwhile proposals are going to be severely restricted. Meanwhile, traffic engineers need to forget the London Cycle Network Design Manual (1998), and start reading the London Cycling Design Standards (2014). London is moving on, cycling is on the increase, and we don’t want Sutton to get left behind. Thank you for the opportunity to comment on this proposal. We hope that our comments are of interest, and look forward to ongoing discussions. Disappointingly, Sutton Council did not formally acknowledge receipt of our response. Furthermore, no reference was made to our comments in a report that was prepared by the council for the St. Helier, The Wrythe and Wandle Valley Local Committee meeting on 16 October. 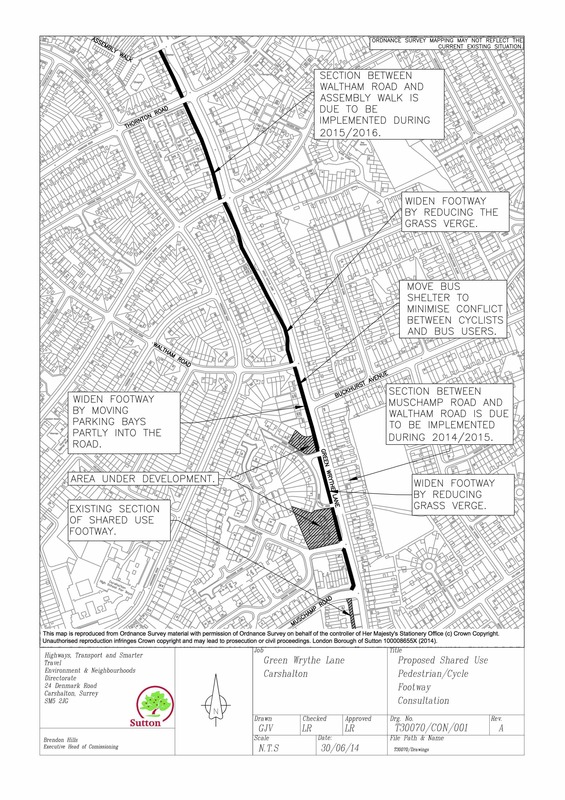 The report, Green Wrythe Lane, Carshalton – Proposed Shared Use of Footway Cycleway, formed Agenda Item 11 of the meeting’s Public Reports Pack, and recommended that the Local Committee proceeded to implement the proposal to widen the footway and then allow cycling on it. This report makes interesting reading, as it not only encapsulates the process and the thinking behind the delivery of cycling infrastructure in Sutton in the year after the mayor published his vision for cycling, but it also gives an insight into how the consultees perceive the value of cycling. Let’s take a closer look. The report begins “Over the last few years the St. Helier, The Wrythe and Wandle Valley Local Committee has agreed to long sections of footway in the Green Wrythe Lane area to be widened and the footway shared between pedestrians and cyclists”. This opening sentence is an amazing admission of under-achievement and low ambition, and serves to illustrate how cycling is currently valued by the people who can make a difference. Even if 1.5km of shared-use pavement was the answer (and not “tokenism of the worst kind”), how is it possible that it can take a “few years” to deliver? If, and it’s a big “if”, the final sections of footway cycleway from Wrythe Green to Middleton Circle are completed as proposed, it would have taken over three years (December 2012 to March 2016) to deliver 1.5 km of a non-continuous, disjointed, “route”, at an estimated cost of approximately £250k. The report continues: “Shared use footways have already been implemented on the south side of Fellowes Road between Green Wrythe Lane and Rushy Mead Lane, on the footway on the western side of Green Wrythe Lane between 63 Green Wrythe Lane and Muschamp Road and the paths across Wrythe Green”. Well, yes, we have seen the south side of Fellowes Road (photo 12) and frankly are not impressed. To suggest that it is necessary to continue with the extension of the proposed “shared use footway cycleway” because some sections of footway have already been converted is both short-sighted, and effectively an acknowledgement that the delivery of proper infrastructure is too difficult. “The long term aim…”? If there was any evidence that there was any aim behind this proposal it would be something. But one street, in one part of the borough, in three and a half years, which will ultimately deliver nothing for mainstream cycling, and then to have the audacity to suggest it is part of any “long term” aim, is just incredible. If anything can be described as “long term” it’s the inability of the council to accept, for far too long, the premise that if cycling is to ever become the joyous form of transport that it could be for many more people, then it is time to stop putting off the difficult issues and time to start addressing the challenges. It is hard to reconcile the un-informed, uninspiring and out-of-date ideas that are currently being put forward as part of the aim to “encourage” cycling, with the stated ideals of the council in regard to environmental sustainability. “The Council will be bidding for further funding from Transport for London in 2015/16 financial year to complete this route…”. It is hoped that the council will reconsider this decision. TfL really has to be accountable for the decisions it makes in sanctioning funding for schemes that fail to satisfy the requirements outlined in the mayor’s Vision for Cycling, and fall short of the Guiding Principles and Levels of Service requirements detailed in the new London Cycling Design Standards. In the second section of the document, titled “Proposed Scheme”, it does not get any better. “The cyclists will have to slow down and give way to traffic at each of the side roads”. Again, a reminder that there are nine side roads over 1.2km, typically one every 120 metres (equating to ever 25 seconds or so at 10 mph). “The carriageway of Green Wrythe Lane is suitable for experienced cyclists to use but because it’s narrow, has many side roads, is heavily trafficked at peak times and is a bus route it is not an environment to encourage new cyclists”. Well, clearly it’s not an environment to encourage anyone to cycle really. Remember, only about 1% of all trips are currently made by bicycle in Sutton. As to suitability for experienced cyclists, or rather people who are willing, able and determined to do battle with traffic. Well, its subjective of course, and people who cycle on the carriageway are likely to be experienced cyclists. But just because they are experienced cyclists does not mean they like the experience. It goes on: “The proposal is to widen the footway to a minimum of 2.5m along its length and allow the footway to be shared between pedestrians and cyclists. This can be achieved by converting a strip of the grass verge to tarmac”. Is that really how you plan for growth in cycling? Tarmac over a strip of grass, and charge TfL around £220 for every metre? At the 2014 London Cycling Show in September a delegate suggested that, in Barcelona, cycling infrastructure of high quality was provided at around £75/yard. At the 2014 Cyclenation conference in November we were told that light segregation in central London had a typical cost of around £50k-£60k per km (or £50-£60/m). 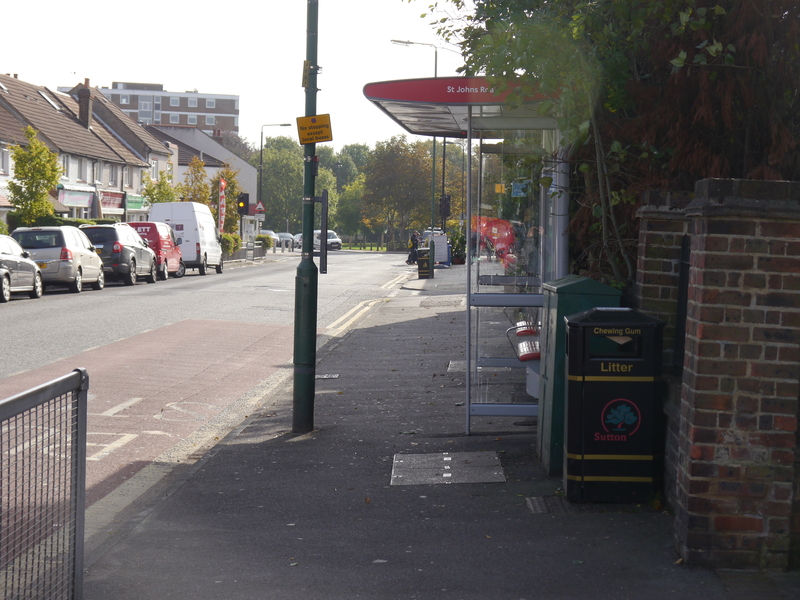 Details of the proposed scheme conclude by noting that a bus stop shelter will need to be moved from the back of the footway to the front in order to “reduce the possible conflict between bus users and cyclists”, and that a parking bay, currently provided on the footway, will need to be partially moved into the road. What then follows, in sections 3 and 4 covering the consultation and the results, is really enlightening. A consultation letter explaining the scheme was sent to 171 residential addresses. Whether it outlined the bigger vision for cycling is not clear but, then again, if the council does not have a bigger vision for cycling that would have been difficult. Apparently, just eleven responses were received, equating to a dismally poor response rate of just over 6%. Perhaps that tells us something about the engagement process (linked to the lack of a “bigger vision”), perhaps it tells us no one really cares. Either way, in the big scheme of things, not much can be read into the findings. Or can it? Interestingly, not one of the respondees said something like ”That’s great, bring it on! As a family we have always wanted to cycle, and this facility will encourage us to now”. No one said “At last, the council are living up to their One Planet Living credentials. I fully support this idea”. Equally, none of the residents said “I have heard of Space for Cycling, and would much rather have dedicated space please!”. So what did they say? What was the biggest single issue? Well, there is no surprise really. It mainly came down to concerns over parking. Eight of the eleven responses mentioned that they did not want their parking bays moved into the road (presumably from their current location of straddling the footway). One was concerned that the bus stop was being moved, and another rather hoped that the bus stop would be moved (presumably as this would give them more space to park). Only one response was in support of the scheme, but with the added caveat that cyclists should have insurance. (And, at this point, it is worth reminding readers that all members of the LCC receive free third-party insurance). Without wishing to be too critical – after all these are the good guys who took the time to reply – this really brings us back to the beginning. With driving, rather than walking or cycling, being the habitual first choice for many people (even for short journeys), and with all the issues closely related to this (including the prioritisation of public space for private parking often at the detriment of the public realm), it is clear that bringing about the necessary infrastructural changes to enable cycling is going to be a challenge. The trouble is, of course, that whilst schemes such as the Green Wrythe Lane footway cycleway continue to be promoted as a facility for cycling, and as infrastructure that is intended to “encourage” people to cycle, we will never move from this current stance. It will always be a challenge, unless the case is made that helping cycling will not just help cyclists, but will create better places for everyone. It will always be a challenge, unless the very best infrastructure is provided. Experience from around the world is now clearly demonstrating that the only way to “enable” people to cycle, and so deliver all the economic and health benefits associated with this (not to mention the sheer joy of stress-free cycling), is to provide the very best infrastructure. Sutton, with it’s laudable aim of being London’s first sustainable suburb, needs to take the lead on this and not leave it to others. The best thing that councillors in St. Helier, The Wrythe and Wandle Valley can do now is show their support for Space for Cycling and so start the process that will ensure that the whole of London, and not just parts of it, feels safe and inviting for cycling sooner rather than later. With commitment from councillors now, we may just find that in five years time the residents of Green Wrythe Lane willingly support, and wish for, the best cycling infrastructure in their community. We won’t know, of course, unless we try, but without that commitment now, the most likely scenario is that in 2019 it will still be just the hardy few who are cycling on Green Wrythe Lane. What we do know is, decisions that councillors make today will inevitably have an impact on how people choose to travel locally in many years to come. These decisions need to be informed, and up-to-date. The mayor understands that helping cycling will create better places for everyone, and he has made it clear that delivery of the improvements he seeks are dependent on the cooperation of the boroughs, and are dependent on our councillors. It’s a challenge, and no one said it was going to be easy. But it’s also a golden opportunity. And the sooner we start, the sooner everyone will benefit. 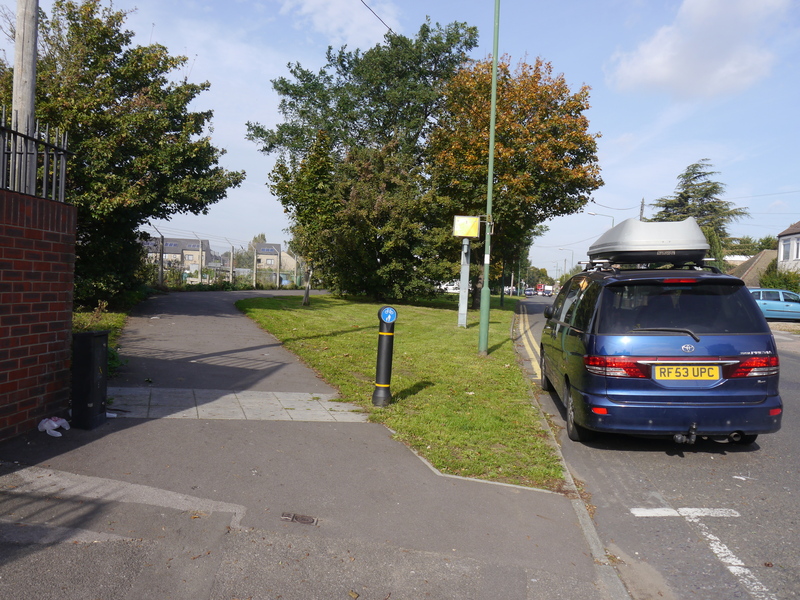 In the autumn of 2015, councillors in the St. Helier, The Wrythe and Wandle Valley) committee decided not to approve the third and final stage of the footway conversion to shared use. However, shortly afterwards there was a change of heart, and Green Wrythe Lane was back on the agenda. Around this time, Sutton’s councillors appeared to have little regard for the delivery of proper space for cycling elsewhere in the committee area. At the St Helier, The Wrythe and Wandle Valley committee meeting on 10 December 2015, councillors failed to agree with Sutton Council recommendations that proposals for cycling infrastructure at Rosehill roundabout be presented to TfL for consideration. Reblogged this on Sutton Greens. Very detailed and insightful analysis of a route i use daily (and despite being an experienced cyclist feel very unsafe on). The current cohort of councillors are so bovine on the whole that getting them to understand any of this stuff let alone have the courage and vision to see things outside their party box is going to be a long long struggle. Cycle routes has become a box ticking exercise and no more…and frankly it’s been like that as long as i can rememebr here. i recall doing a photo call with fellow Green candidates in Sutton on a 25 yard cycle ane (!!!) in the 1990s!